First, a very happy 448th birthday to Will… Your work never ceases to amaze. Well done. Take the rest of the day off. Now! This coming Star Wars Day, I’ll be giving a talk at the British Library based on the CD of Shakespeare sonnets, speeches and scenes I curated for the BL. Together with a fab line-up of actors, we’ll intercut the blah-blah-blah by performing speeches & scenes from Shakespeare in Original Pronunciation. Some will be from the CD, some won’t have been heard in OP for over 400 years… Come one, come all…! How did Shakespeare sound to the audiences of the day? Ben Crystal, together with actors from the company formed for the new British Library Shakespeare’s Original Pronunciation CD, offer us a rare chance to hear new meanings uncovered, new jokes revealed and poetic effects enhanced. ‘Shakespeare’s Original Pronunciation’ is currently available on CD & to Download here. Last month I recorded Sonnet 141 for an amazing forthcoming iPad App featuring Sir Patrick Stewart, David Tennant and Fiona Shaw. Faber and Faber, Touch Press, Illuminations and The Arden Shakespeare are delighted to announce that they are in the final stages of producing a spectacular edition of Shakespeare’s Sonnets for the Apple iPad. The title features specially filmed performances of all 154 sonnets by a stellar cast that includes Fiona Shaw, Sir Patrick Stewart and David Tennant. It also features the complete Arden notes, providing unsurpassed commentary on the poems. This digital edition follows Touch Press and Faber’s iPad app The Waste Land that presents T. S. Eliot’s great poem in an innovative and widely praised interactive format. 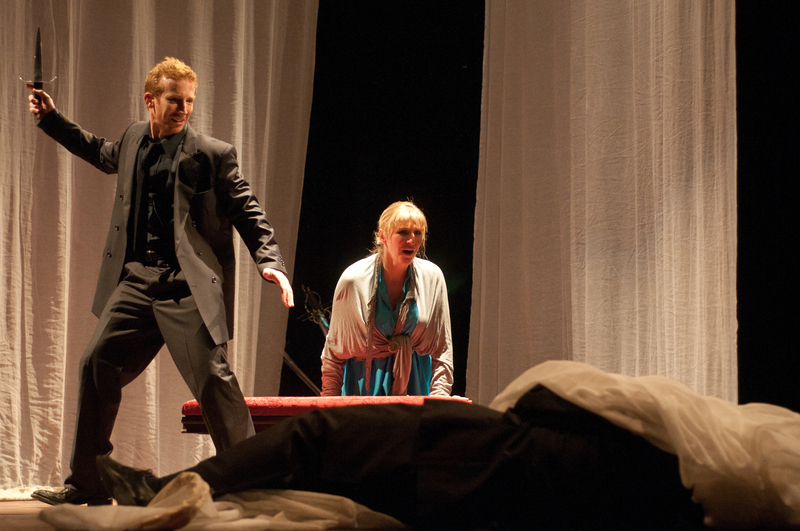 Back from Nevada & playing the lead in the Contemporary World Premiere of Hamlet in Original Pronunciation. I’m currently adapting Shakespeare’s long poem Venus & Adonis for the Engage Programme out of Bath Theatre Royal, Bath Lit Festival 2012, & Roughhouse Theatre, which will be playing early March 2012. Probably slightly more regular updates found via my Twitter feed. I think this book is wonderful. 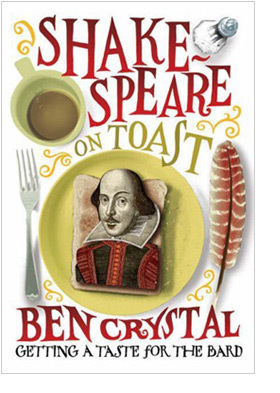 I have learned plenty from it and I suspect anyone other than an English literature academic would do the same… I reckon it should be compulsory reading for all teenagers studying Shakespeare and so, for that, Saint Jamie of the Bard gets my vote. The starting point for all our work is the words of the writer. Using a solid textual foundation, we play Shakespeare as simply as possible, without any great conceptual frame placed between participants, audience and the play. By allowing Shakespeare and his words to direct us we discover new ways of approaching Shakespeare for the 21st Century with honesty and great passion. The next Passion in Practice workshop will be May 16th-20th 2011 in London. Please head to www.passioninpractice.com for more details.